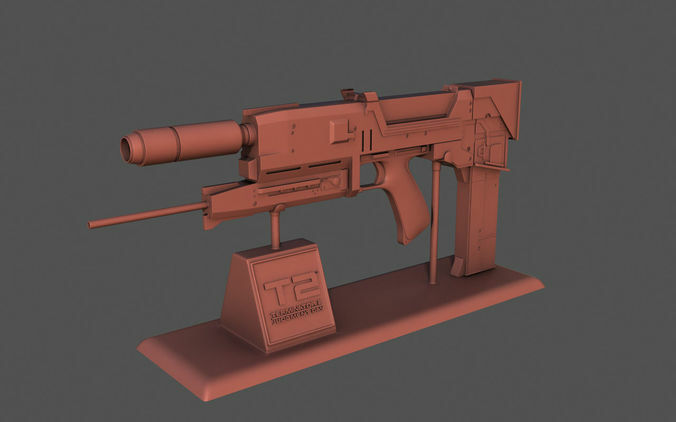 Stand in formats: 3ds, obj, max, fbx and stl without TurboSmooth Iterations; Plasma Rifle in formats: 3ds, obj, max and fbx without TurboSmooth Iterations; Plasma Rifle in format stl with TurboSmooth Iterations 1. Plasma Rifle with Stand in formats: 3ds, obj, max and fbx; In STL format apart. Plasma Rifle: Length: 25.9 mm; Width: 309.99 mm; Height: 136.94 mm; Volume: 251.48 mm^3. Stand: Length: 83.19 mm; Width: 272.35 mm; Height: 100.73 mm; Volume: 244.44 mm^3. Great file I blew the file up to 245% to make it life size. turned out great.